Still Orangutans (Ainda Orangotangos, Brazil, 2007) – The movie festival’s release described Still Orangutans as the brazilian equivalent to Short Cuts, probably due to the different stories that take place in the city of Porto Alegre in the hottest day of the year, like a collection of short films united in a single one. What’s more interesting about it is to see the good result of the idea of filming the story in a single plan, which might not be innovative (it has been done before), but how most of the different pieces complete eachother perfectly while supporting the film’s comic purpose (in this sense, the nightmare scene seems a little out of place). There’s no deep intentions in connecting one moment to the next, therefore the film leaves neither space to discussion nor reflexion, and this isn’t entirely bad. Let the Right One in (Låt den rätte komma in, Sweden, 2008) – A peculiar story set in a very ordinary place, a big city’s suburb. Oskar is 12 year-old boy who is bullied at school, until he falls in love with Eli, a girl (?) who can’t digest food, lives during night, has incredible powers and needs to drink blood often – in short, a vampire – “I have been 12 for a long time”, she answers, when the boy asks how old she is. The film was such a pleasant surprise, mixing horror, romance and comedy, many times united in one single sequence. The film’s only flaw would be the mysterious relation between Eli and his protector (her father, perhaps? ), the man who kills in order to feed her. I would love to read the novel which inspired the film in order to know more about the story. Canvas (USA, 2006) – It was more worth watching this movie for the performances than for the story itself. Not that there’s anything severely wrong with this familiar drama centered in Mary, a mother and wife (Marcia Gay-Harden) who suffers of schizophrenia, affecting everyone around her with explosive mood swings. With the wrong cast, I doubt I’d still remember the 101 minutes I spent in the theater. 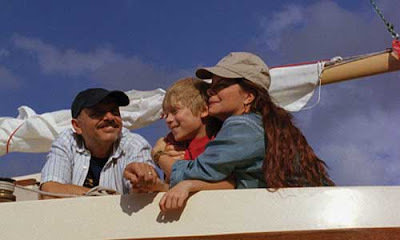 Her husband John (Joe Pantoliano) and 10-year-old son Chris (Devon Gearhart) will be on their own when she moves to a mental hospital, especially Chris, who can hardly find emotional support at his own home, as John spends most of his time constructing a sailboat to Mary, not dealing with his own sorrow. The child is, nevertheless, strong, and fills his time discovering a seweing job (as well as making profit out of it in school), while being bullied by his classroom friends due to his mother’s “craziness” and his father’s “idiossincrasies”. Ben X (Belgium, Netherlands, 2007) – Ben (Greg Timmermans, who walked into the theater to introduce the film) is an autistic teenager who finds relief for the daily classroom bullying in the fantasy world of an online game called “ArchLord”. In the real world he’s constantly humiliated, sometimes in sadistic proportions, but in his virtual reality he acts boldly beside his princess “girlfriend” Scarlite. Director Nic Balthazar uses a docudrama technique as a storytelling element, making it clear for the audience how the story is going to end, except for a surprise twist that feels a little forced. One of the film’s best accomplishments are its technique, as the fantastic world of the online game is integrated into the main story in a way that allows the audience to understand Ben’s mind. Breath (Soom, South Korea, 2007) – I had high expectations towards this film, as it was written and directed by the brilliant Kim Ki-Duk, the same man who delivered Spring, Summer, Fall, Winter… and Spring and 3-Iron, however, I’d not put this picture in the same level of those, although Breath results in a good film filled with some poetic moments. As shown in 3-Iron, love is not meant to be easily understood, since words are not needed to justify the characters’ actions, only symbols and lirism are enough. Yeon is imprisioned in an unhappy marriage, she no longer speaks to her husband who recently was unfaithful to her. On the TV she gets to know about Jang, a man who has commited a barbaric crime and waits on the death row. 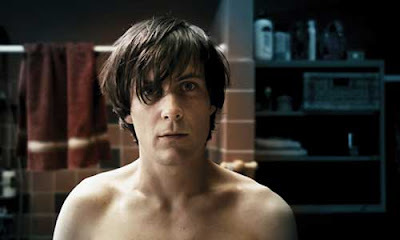 He tries to suicide by stabbing himself in the neck in the small cell he shares with other men, including one who can’t speak, but is in love with him. Despite not sharing any bonds with Jang, Yeon decides to visit him daily, attracting the voyeuristic attention of the prison’s CCTV operator, whom presence will control every single step the lovers-to-be will give, almost shaping their four seasons symbolic journey. Revealing more than this would spoil the experience of watching this film, and figuring out why it is called Breath. P.S. : I’m currently in my hometown in Brazil, where I’m spending the next three weeks, therefore the blog might be a little left out (except for a very few posts I had written when I was in DK… It’ll be also hard making comments on your blogs often. Hope you all understand! It’s lovely being at home with my family again, after a year and a half away from them, and eating all the yummy food I missed all this time too. The weather is a little crappy, after all, it’s “winter” and it rains and rains… But it’s warm enough for me. Flying was ok (which means tiring) except for the fact my beloved black wayfarers got broken. But I can just buy new ones some other time. Cheers for now. Romeika. 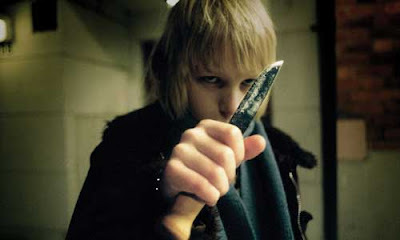 >Romeika, adorei o que você escreveu sobre "Let the Right One in". Fiquei curiosíssima sobre o filme!! !Seja bem-vinda à Natal!!!!! Realmente, o clima daqui anda super estranho. Chove, depois vem o sol. Mas, hoje parece que vai voltar tudo ao normal. Mata as saudades de sua família e não se esqueça de ligar para mim para a gente combinar algo! >Wow, nice selection of films! We're Kim Ki-Duk fans too. >More interesting films. But I haven't seen any of them, unfortunetly.Ciao! >Mais um post super interessante! Muitos deste filmes eu ainda não ouvi falar! Adorei!Se divirta aqui no Brasil! Deve ser muito bom para você visitar sua cidade! >horror, romance and comedy? that sounds like the perfect movie! >Let the right one insounds very interestinggosh i havent visited your blog in so longand i def dont want to forget about itmay i link u? >I love your movie reviews! !Let the Right One In seems like the kind of movie that will scare me to death; and yet, keep me gripping onto the seat, till the story ends. Have fun in Brazil! See you soon! >I think Kim Ki-duk is one of the greatest directors, you should also see "The Bow" and "Time", also movies by him, which are really good.